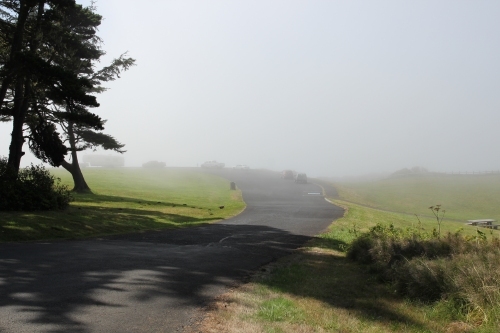 Hwy 101 mile marker 129. 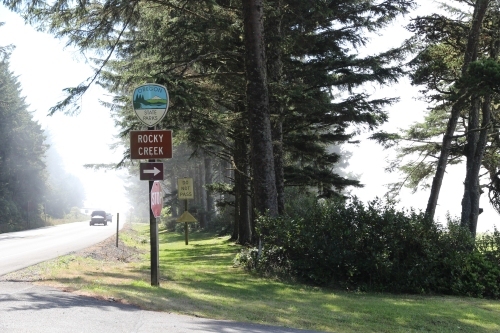 Rocky Creek State Scenic Viewpoint is about 3 miles South of Boiler Bay Viewpoint. Site Resources: Picnic tables, restroom. 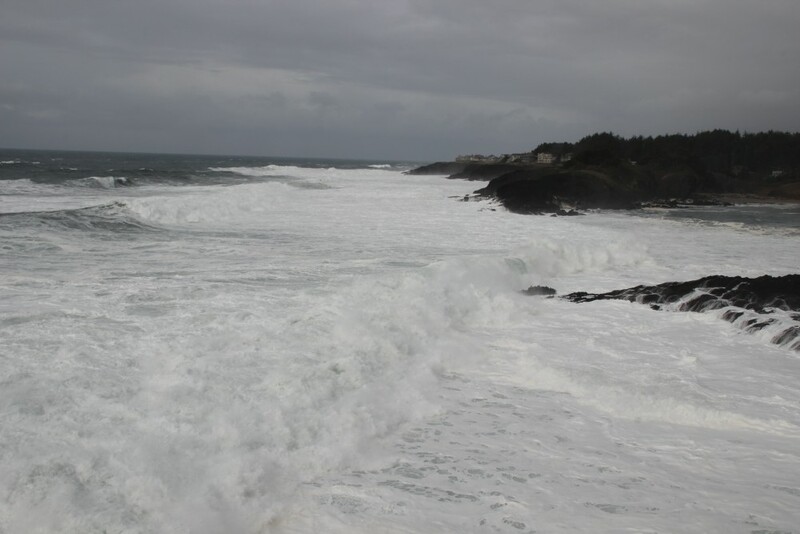 The cold winds on this February 2012 day milked the ocean until it turned into cream. 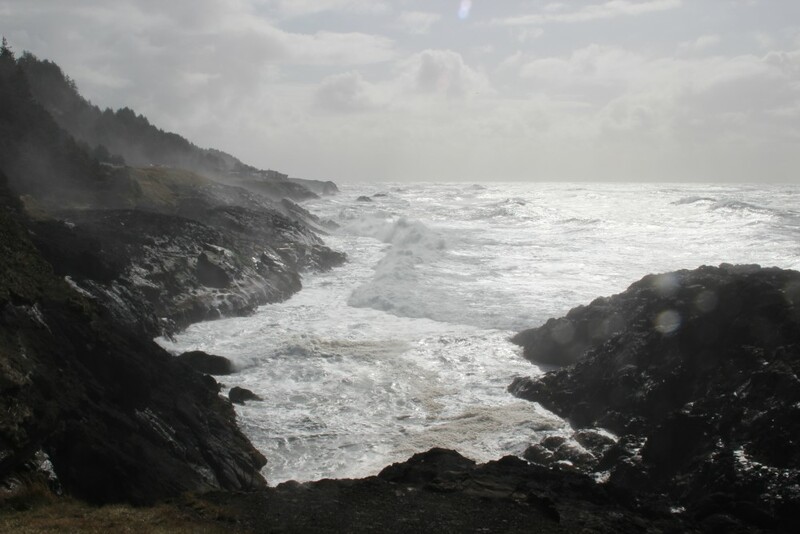 Stormy waves dissipating in an inlet.